Grain mills are one of the most versatile kitchen gadgets. When you own one, you can put it to a number of different uses while also incorporating healthy and natural products into your daily diet without taking up too much effort. 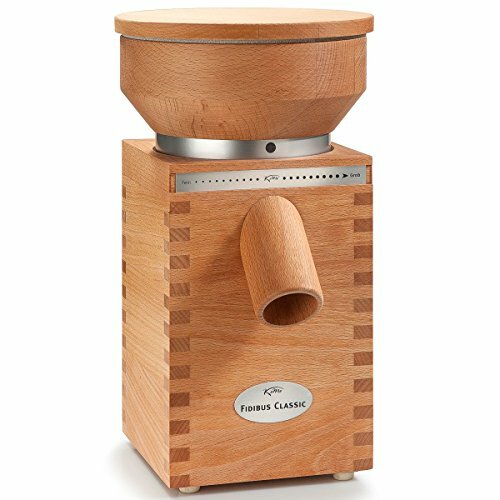 If you are looking to get the best grain mill for your kitchen, you may consider checking out the 3 products which have been reviewed below. These are considered to be the best of the lot. People of today are smarter and they make use grain mills at home so as to avoid chances of buying and eating food which contains chemicals. 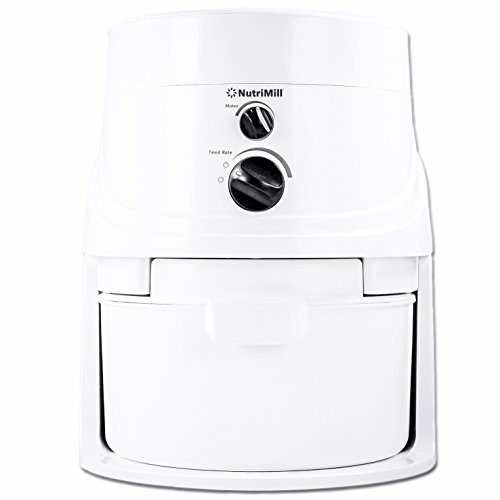 If you are also in need of grain mill then buy only nutrimill classic 760200 high-speed grain mill. Advanced technology – This machine is able to control texture, mill head of this machine is also strong and it contains unique force flow air/ sound chamber which make the process of grinding grain less noisy. Also, the motor cooking system is given in the machine and thus, it will serve you for a longer time. Protect nutrient – Nutrimill classic model is designed in a way that it is able to keep flour at the temperature of 118◦ and protect the nutrient available in the grain which is otherwise lost in the process. Make any kind of flour – There is 10 amp powerful and 1-3/4hp motor equipped in this grinding mill which is able to produce flour of your choice i.e. medium, fine or coarse flour. Using this machine you will be able to grind 5 cups of flour every minute. Additional features – also it contains grain hopper extension, Separate cup, and air filter. In this model of grain mill, there are some fantastic features offered to the customers! 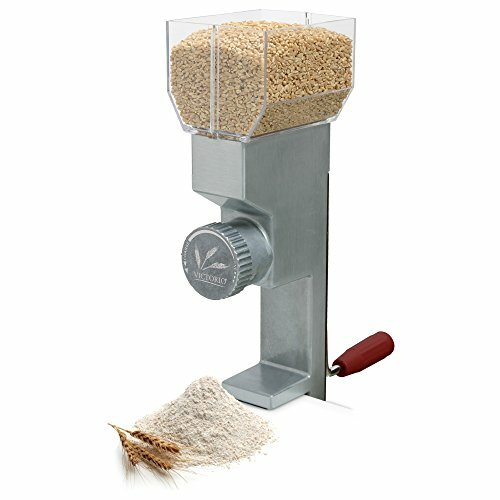 Perfect grain mill – This grain mill is best for small batch baking as well as in an emergency. You are able to make flour of rice, barley, wheat and much other grain using this machine. Coarse to fine – In this model, there are front dials which help you to adjust and make coarse to the fine quality of flour. Thus, you get the optimal quality of flour using this machine. Stable attachment – For ease of grinding there is available mounting clamp which allows you to securely attach to surface. Thus, you are able to operate the machine easily. Capacity – Holding capacity of this grain mill is good and the hopper of this machine you are able to hold the 4-1/2 cups of grain at a time. If you are looking for the classic and stylish grain mill machine for your house then this model of koMo classic is best for you. Design – This model is made using the beechwood which gives it classic look and corundum ceramic burrs of this machine give it a long life thus, you are able to get long service. Grind as you want – You want to make coarse flour or fine flour or medium one? This machine will work efficiently and provide the type of flour you need. This model is also easy to set up and clean with no additional tool. If you want to make flour of your choice at home then you can buy any of these machines. They are easily available in the market and allow you to make flour at home. You are able to grind different grains using this machine thus, it is convenient to use.